BIRGUNJ, August 16: Hari Narayan Rauniyar who reached Birgunj of Parsa at around 3 pm on Monday carrying relief materials for the flood victims could not stop tears falling from his eyes after seeing their miserable condition. He had to distance himself from the crowd in order to hide his tears. Locals of this district have not been able to light their stoves for the past three days and so far the government has sent no relief for them. 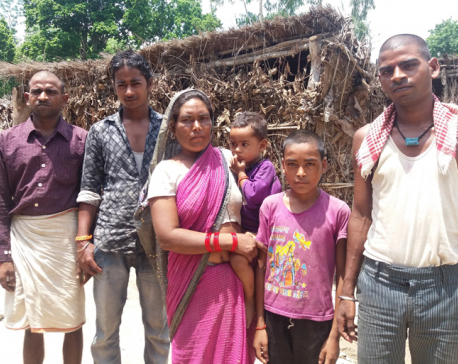 All their food grains and clothes were swept away by the floods, creating a mess in their houses. People of all ages jumped and snatched the food materials provided by Rauniyar who is a contractor by profession. Rauniyar said a 20 years old youth asked him for food saying that he had not eaten anything for two days. "It is really heartbreaking to see these people fighting for food," said Rauniyar with eyes full of tears. "I don't know who will understand their obligations, situation and their misery and when?" he asked. According to him, hunger has made the flood victims lose their patience. 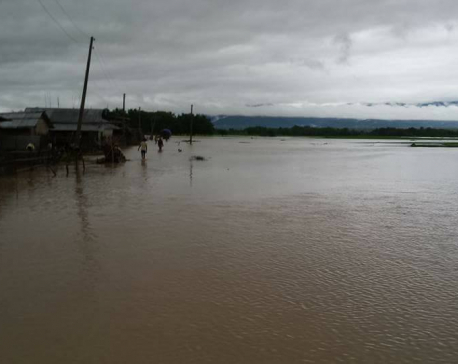 Relief materials are yet to reach more than 50 villages in Parsa, though the rain has stopped. However, Nepal Police and Armed Police Force have provided some respite to the victims by assisting in relief distribution programs. 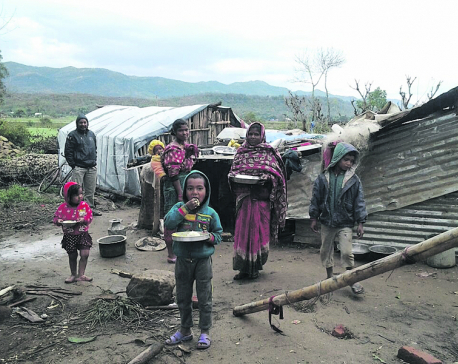 "I had never thought I would have to live a life of displaced in this old age," said Bachidevi Sonarin, 60 of Pakaha. It has been two days since Bachidevi has been taking shelter on the premises of a higher secondary school along with her daughter-in-law and three grandchildren. "The flood has swept away everything and now we have got nothing to eat. I don't know how long will we survive like this," she said. Pakaha-based Shree Ram Charitra Bhagat Higher Secondary School has been providing shelter to hundreds of flood victims. On Sunday, around 300 members of 70 families were taking shelter at the school. Some victims are also taking shelter at Ram Janaki Mandir. Even after so many days, the victims still await relief. Not just the homeless ones but also those with homes have nothing to eat. Their houses are still waterlogged. There is not a single house which has not been affected by the flood. "Dhoiba is the most affected area in the district," said Keshav Raj Ghimire, Chief District Officer of Parsa, adding, "Today we distributed relief materials at three places and we heard that some other organizations provided relief material to the victims of other two places."